Assam has been listed as the fourth highest tobacco consuming state in the country, said the Global Adult Tobacco Survey (GATS), India. Assam has been listed as the fourth highest tobacco consuming state in the country, said a survey report released by the Ministry of Health and Family Welfare. The survey was conducted by the Global Adult Tobacco Survey (GATS), India. According to the report, 48.02% of the populations of Assam are active consumers of tobacco products. The state of Tripura topped the list with 64.05% consumers followed by Mizoram at 58.07%, Manipur at 55.01%, Meghalaya at 47%, Arunachal Pradesh at 45.05%, and the Nagaland at 43.03%. Contrary, Goa had the lowest number of tobacco consumers of only 9.07%. The reports said, the Western and Southern part of the country has less consumers of tobacco. The percentage of women tobacco consumers is 61.04 % in Tripura, 52.04% in Mizoram, 47.08% in Manipur, 34.02% in Meghalaya, 32.09% in Assam, 28.07% in Arunachal Pradesh, and 31.07% in Nagaland. 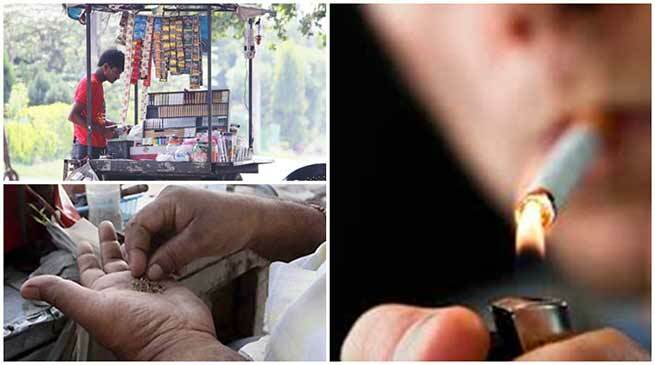 However, it was found that Meghalaya and Mizoram have higher percentage of consumers consuming smoking tobacco as compared to chewing tobacco. It is also seen that even the pregnant ladies consume tobacco in the Northeast. “There should be awareness programs to educate people about the side effects of tobacco. The youth is seen getting influenced by their friends and others. The parents should take proper steps to keep their children away from tobacco,” said the officials of GATS.